Empires rise, yet only by sowing the seeds for their downfall. The Economic Apocalypse after the collapse of capitalism arrives with biting venom, rapidly turning paradise into hell for those who are unfortunate enough not to be among the very few, who selfishly enrich themselves by profiting from the misery of others. It signals the beginning of the end for an empire built on greed, and for the new poor, they are sentenced to suffer the consequences. Until that is, he is suddenly implicated in the murder of a government agent, which puts a very hasty end, not only to his thriving business operation – but also to his long, yet awkward relationship with Julia, as he is forced on the run, with danger lurking at every turn. 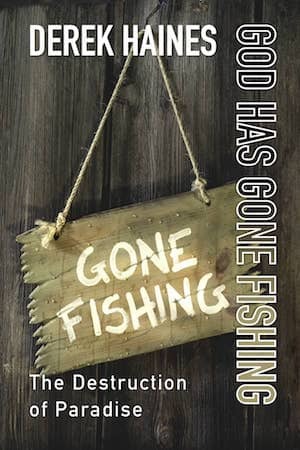 God Has Gone Fishing – A dark and dramatic dystopian thriller.